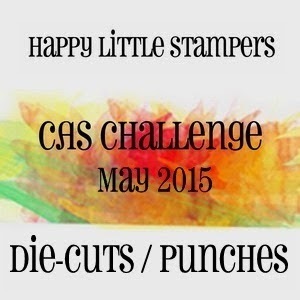 The brief was, to use die-cuts or punches. As usual the DT came up with some stunning inspirational examples. Here are the rest of the pictures of my card, they are a little dull I'm afraid due to the dismal lighting. All supplies will be listed below. 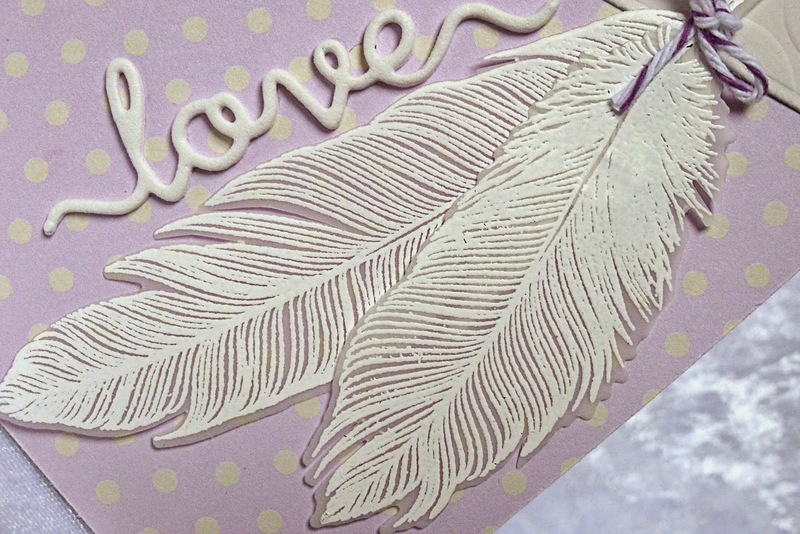 In retrospect, I think if I did this design again, I would emboss the feathers in a matte embossing powder. Incidentals - Cardstock, patterned paper, vellum, embossing powder, embossing folder & bakers twine. This card says so much, though not contain too many elements! I love its design. True mastery. These feathers are beautiful, Hazel! I wouldn't change a thing! Thanks for sharing this at HLSCAS! Stunning card...I really thought those feathers were real! They look just fabulous and make for a wonderful card. Absolutely gorgeous card Hazel, i really really love it. This is so elegant, Hazel, your feathers are beautiful! 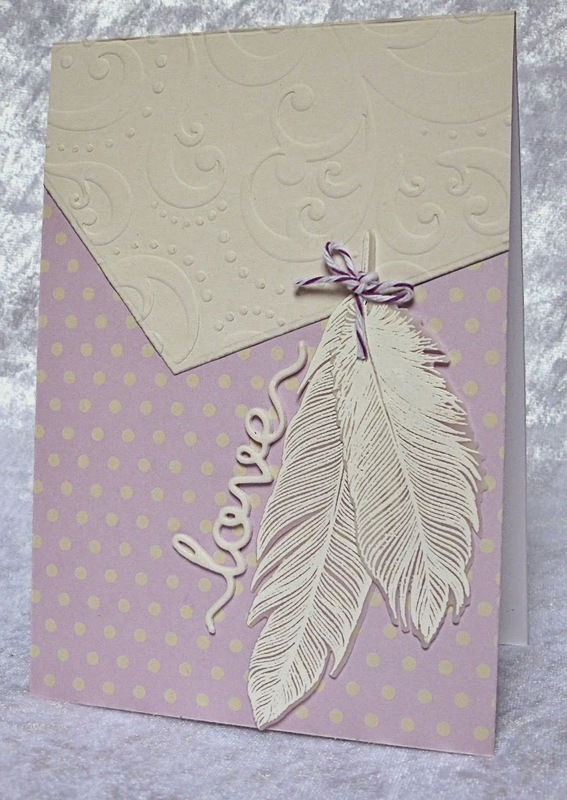 Beautiful card, love the feathers and how you have placed the sentiment. Gorgeous card. Beautiful and elegant! 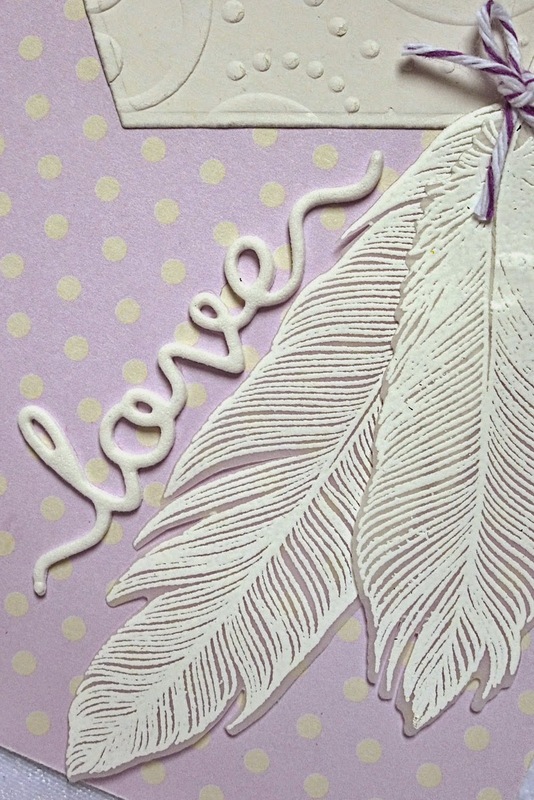 Love the embossed feathers ! 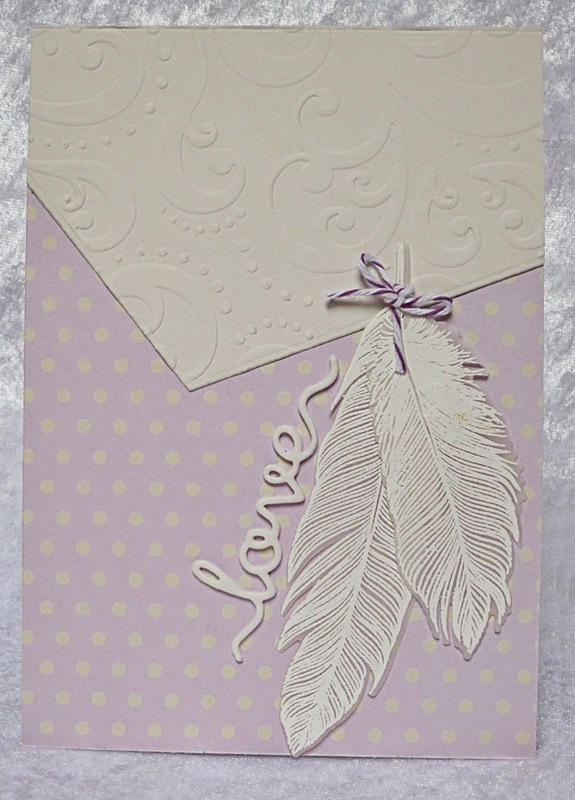 Love the soft purple bg with the yellow polka dots, Hazel and the dry embossing is sooooo lovely!!! 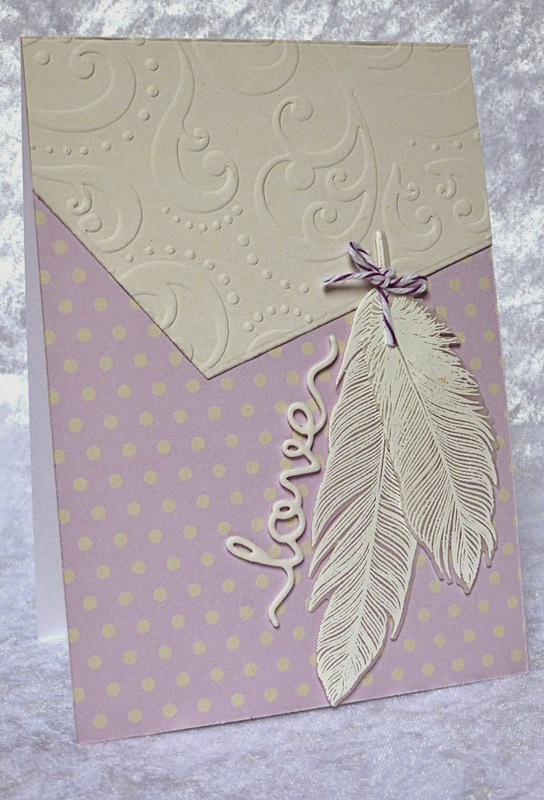 Love the lo of your card and those feathers are stunning!!! The little twine bow is so cute and I love the sentiment!!! A lovely card, Hazel!!! !